The United States has provided a tremendous consumer market for countries all over the world, with an abundance of products imported from a variety of areas. Growing U.S. consumer demand over the decades along with advanced electronic manufacturing facilities in China and throughout Asia, have given American consumers cheap products. Ambitious consumer behavior has created a trade deficit with China of over $319 billion dollars, followed by smaller deficits with Japan, Germany and Mexico. 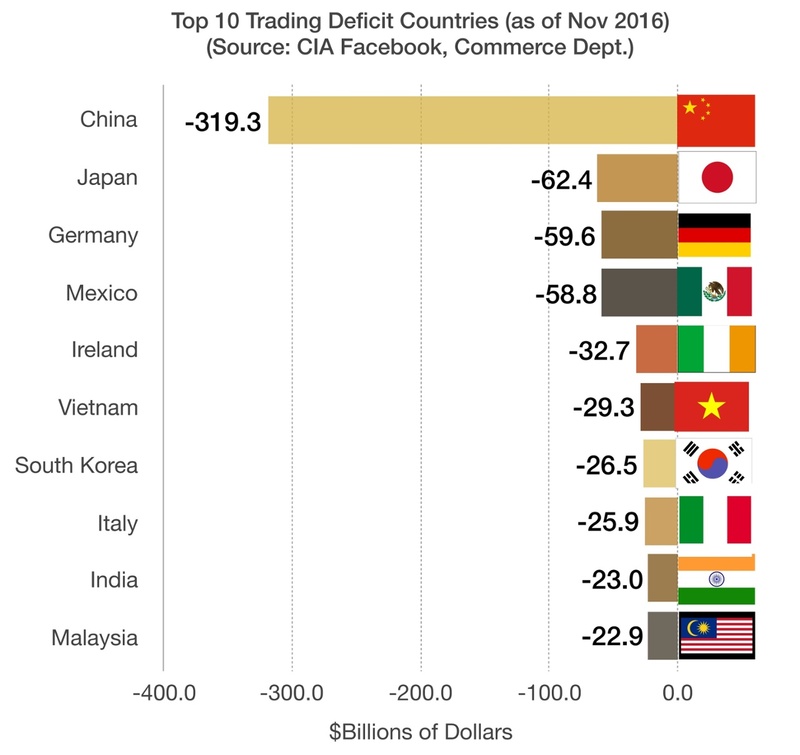 The current deficits with Japan and Germany are primarily comprised of automobiles and machinery, while the deficit with China mostly consists of electronics. Appreciation of the U.S. dollar versus other major currencies has made foreign products relatively cheap for American consumers, including automobiles, computers, and televisions.